A Welsh language music and literary periodical that published articles on music and poetry, news and reports from eisteddfodau, and poetry and music festivals and competitions, alongside poetry and pieces of music. Originally a monthly publication from 1878 onwards it was published irregularly. 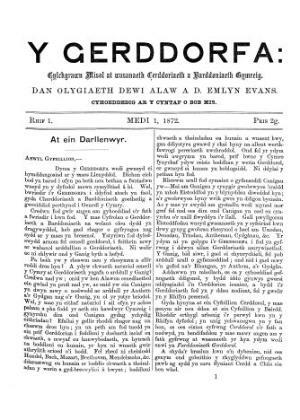 The periodical was edited by David Davies (Dewi Alaw, 1832-1914) and the musician David Emlyn Evans (1843-1913).